The pet of your dreams! 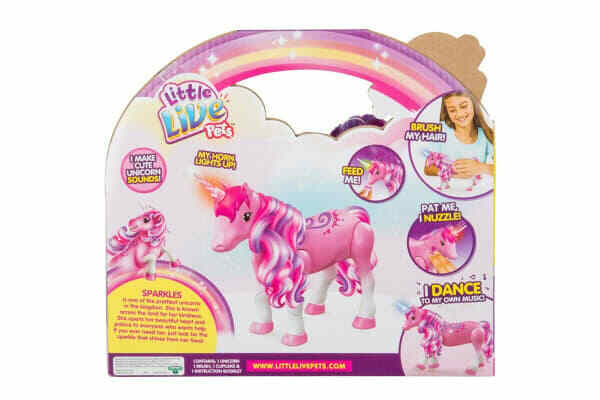 The Little Live Pets Sparkles My Dancing Unicorn is full of magic, she shimmers with a beautiful mane to brush and a rainbow light up horn that lights the way. The Little Live Pets Sparkles My Dancing Unicorn is one of the prettiest unicorns in the kingdom. She is known across the land for her kindness. 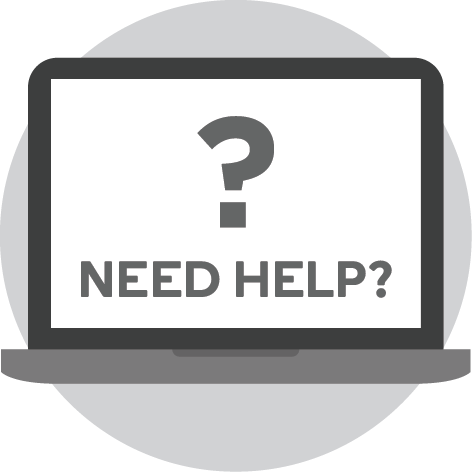 She opens her beautiful heart and palace to everyone who wants help. 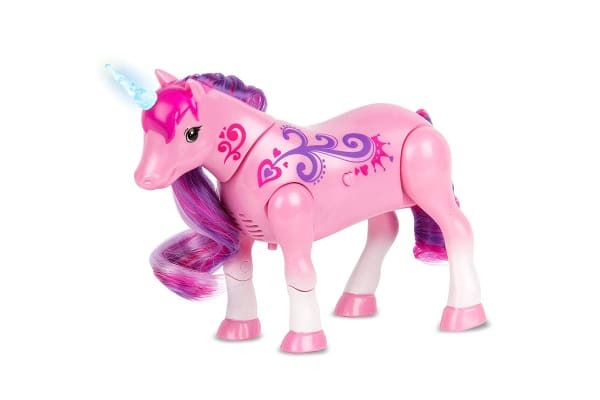 This amazing unicorn reacts to your touch; she’ll nuzzle up to you, trot on the spot or feed if you give her a magical cupcake. Sparkles loves to dance, watch her step in time to her very own music! 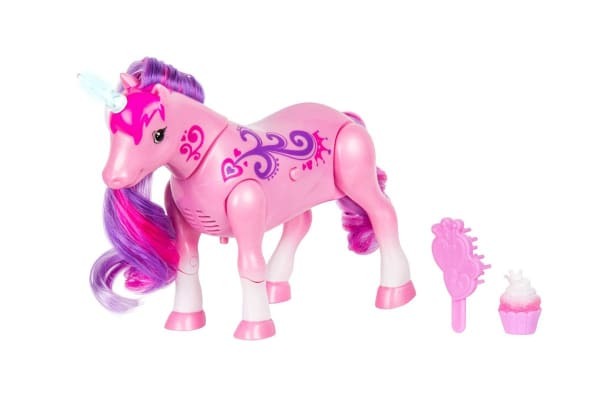 Add some sparkle to your everyday with Sparkles, My Dancing Unicorn!